Happy New Year. There’s a rather chilling post title for you. Not my figures, for once I am relying on our infallible news media. Apparently, in London, in 2017, there were 80 fatalities due to stabbings etc. Again, according to our news friends, this is an increase from 50 in 2016. Unlike the BBC news reader this morning who portrayed this as an increase of 30%, my ancient abacus calculates this as an increase of 60%. In response to this shocking storyline well-respected Policing Commentator, former DCI, Peter Kirkham was interviewed last night on Sky News. 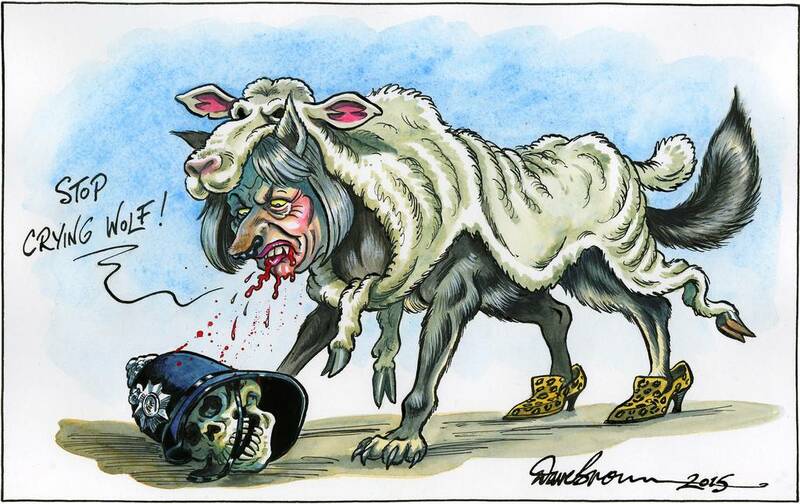 Theresa May has blood on her hands. There is Institutional Racism at the heart of this government. Just two of the headline-grabbers from the above piece, but both are 100% accurate. Peter put his points across in an excellent manner, leaving nobody in any doubt where the blame actually lies. As Home Secretary, and latterly Prime Minister, Theresa May has presided over the deconstruction and total emasculation of the Police Service, the dying throes of Stop and Search and the total inability for the modern-day ‘reformed’ Police Service to conduct any proactive or disruptive operations against the (mainly) gangs. I will not apologise for banging on about the Knife Angel. Having seen it, touched it and met the sculptor, plus the man behind the campaign, there cannot be a much more powerful image. For a man who pledges to take Knife Crime seriously, I am still waiting for the Mayor of London to explain why it can’t stand atop the 4th plinth. If we can have a huge “Thumb” why not the National Monument Against Violence And Aggression? If you are not familiar with the monument you can read it’s story here. Is This What An Extra £30 Million Gets You? To Double-Crew Or Not To Double-Crew?